Anniversary Flower . . .
Common Snowdrop, Galanthus nivalis, flowers on the vernal equinox, 2014..
March departs Manhattan’s hills and buildings like a lamb leaning into a strong wind, still chill, under a blue sky. 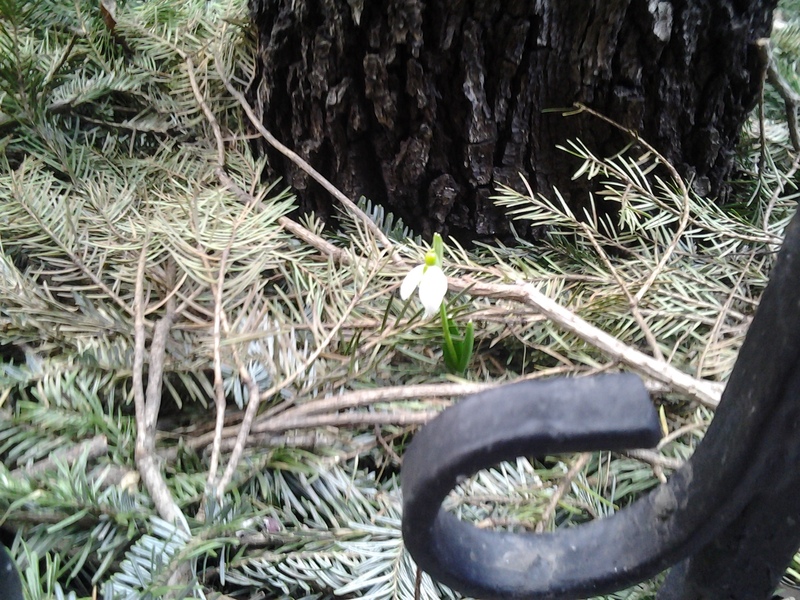 A single Common Snowdrop bloom, white, brightens a nearby bed of graying evergreen boughs. The sight, a month later than such encounters during previous years. A sign, pictured here on March 20th, a sure sign of Spring starting. The vernal equinox, punctuated by a flowering plant. Happy Fourth Anniversary, Wildflowers of the West Village . . .